If you want to fish successfully for Scottish salmon then there's no point turning up on a river without the right equipment and knowing exactly how to use it unless feeding the ducks is the reason you're there! The above generalised statement is only the 'tip of the iceberg' of the shenanigans that occur on the Scottish rivers on a daily basis. There's very few if any anglers that can turn up on an individual salmon fishing venue and teach the head ghillie anything about his beat to do with where salmon are to be found or how best to catch them. Even this week I hear reports of anglers not listening or refusing to adjust their fishing tactics even when repeatedly advised to do so by a highly knowledgeable professional ghillie. What on earth is the point of coming to the Tay or any Scottish river unless you're prepared to take 'educated' advice on how & where to look for a taking fish from the man who knows the water intimately! A good pair of ears is a very valuable asset in Scottish salmon fishing and the ability to act upon sound fishing advice when given. Based on my own personal river observations the salmon fishing angling standards in Scotland are generally somewhere south of average. As a professional beat ghillie I'd be fortunate if I'd see one angler a month that I'd have respect for their ability to fish. Mysteriously enough these guys when they did appear seldom ever blanked and seldom were restricted to one fish a day either! The male ego has indeed got a lot to answer for in Scottish salmon fishing from the 'sleeping' non forward thinking management & agents of the Scottish rivers all the way down to the stubborn visiting anglers who turn up with cotton wool jammed in their ears! There's nothing that expands the human mind more than learning the intricacies of how to make a salmon open its mouth so bin your preconceived notions of uselessness and listen to the professional who'll gladly impart his knowledge to give you the best chance of success and staying in the game! From a river management point of view unless there's a graph at an AGM that's showing projected salmon runs 60 months ahead of time and exactly how that's going to be achieved then they should do Scotland a favour and disband themselves. Nothing is going to change with stock positions unless the way Scottish rivers are managed changes first. This is a simple business of wild smolt output and delayed gratification due to the 5 year cycle of salmon so if a fishery board is only looking at what happened that year (or last year!) then this type of 'rear view' mirror management is never going to bring the true target of increased salmon runs to fruition. 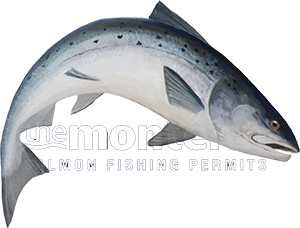 With the majority of salmon anglers I totally get & respect their desire to be out on a salmon river but most entered the game on an low cost permit via agents that don't understand how to qualify. Thousands of salmon anglers will have dropped out of this game after a brief exposure over the last decade (unquantifiable loss) who would have more than likely have stayed in for life had they been introduced to the pursuit correctly and offered some basic salmon fishing 'equipment & tuition' advice. This Summer will see the launch of a Spey casting club on the Dunkeld House Beat of the River Tay which will be held on the second Sunday of every month. This Sunday salmon fishing & Spey casting work shop will refocus Scottish salmon fly fishers back onto the important aspects of successfully pursuing salmon with a fly rod like controlling the fly, how to space the swing of your fly and how to effectively react to a take from a salmon. The ease and elegance of the Spey cast starting always with a perfectly smooth line lift will be shown for those that have never witnessed this art form Scottish cast being performed properly and the logic behind each stage of the cast. There will be no entry fees and we're hopeful that professional ghillies from other Scottish rivers will attend with their families as there's great accommodation in Dunkeld and especially at the Dunkeld House Hotel who also offer first class Sunday lunches.